Can a bright orange spice heal your aching joints? Do you have pain in your joints? Aches and pains all over your body? Osteoarthritis, rheumatoid arthritis, aching bones? As you approach middle age, and certainly in your later decades, the deteriorating health of your joints can impact hugely on your day to day living, making it bearable at best and intolerable at worst. Yet sitting in your kitchen cupboard (this is a bit of an exaggeration, because although it’s in mine it may well not be in yours…) sits a key to relieving the misery. 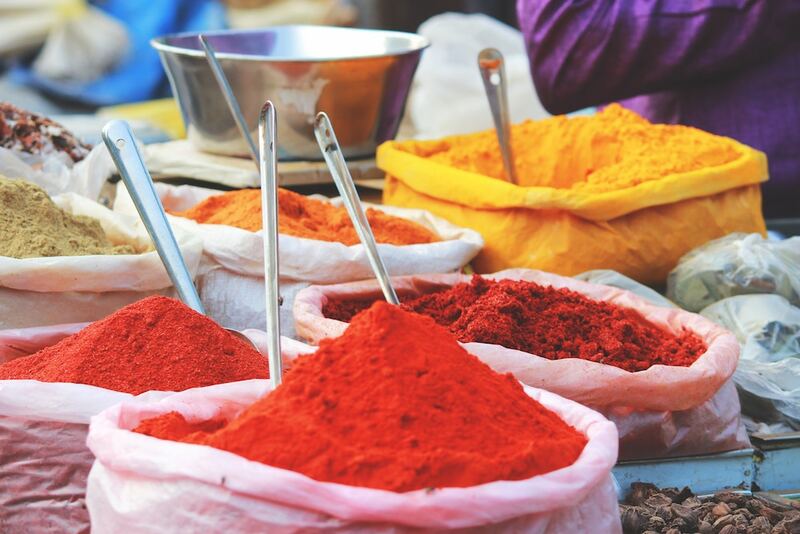 Turmeric is the bright yellow, Indian spice that’s used in almost every curry made in the U.K., and has also been used with great success in Ayurvedic medicine for over 3,000 years for healing just about everything. In their literature, turmeric is called ‘one who is victorious over diseases’ and over 100 different components have been identified in it, making it the holistic health remedy of choice for a wide range of problems ranging from coughs and sinusitis to allergies and anorexia. The healing comes from the dried powdered roots of the Curcuma Longa plant. But amongst all those compounds, one in particular stands out, curcumin. Curcumin is a polyphenol, one of the thousands of plant compounds that can rebalance and enhance your body’s chemistry just as well, and sometimes better, than the pharmaceutical drugs that attempt to mimic their effects under patent. Curcurmin, in a variety of recent tests, has been scientifically proven ‘to be one of natures best anti-inflammatory remedies.’ Joint pain of all types is down to inflammation in the body. The processed food, nutrient lacking diet that many of us base our eating habits on today is at the root of much of the problem. As curcurmin binds to fats, taking it with food that contains fats or oils will improve your absorption. And check the labels because there are now new compounds that some manufacturers add that also increase uptake by the body. Look for Bioperine, BCM-95 or Meriva. And a newer formulation, CurcuWin, seems the most potent of all, increasing curcuminoid levels in the blood by 4,490% (Jäger, Nutr J 2014). This addition allows the curcurmin to be taken with water instead and is in Healthy Directions Turmeric Curcurmin Complete and Relentless Improvement Curcurmin. Look out for Theracurmin too, which can also be taken with water and raises levels of curcumin in the blood by up to 27 times as a standard formula. One approved product that contains Theracurmin is the Canadian made Natural Factors Curcurmin Rich Theracurmin. Back to those aching bones. A 2014 study published in PLOS ONE, a peer reviewed scientific journal, showed that curcurmin completely shut down the body’s inflammatory reaction process. Block inflammation and you immediately improve your symptoms. The point here is that you need to supplement with curcurmin itself. Turmeric alone is not enough. Particularly as in tests to check quality, cadmium, lead and arsenic were found alongside the spice itself… not to mention quantities of dried insect! Safer then to buy curcurmin itself, either in health food shops or online. And make sure you check the dosage on the bottle because only high levels of curcurmin make the difference. I usually take my supplements in spray or liposomal form, because they absorb directly into the body when sprayed under the tongue rather than swallowed and getting lost in the vast vats of our stomach acid. Whatever you spray then spends longer in your blood, and is delivered directly to wherever it’s needed in the body. And you can also get products that combine curcurmin with other health supplements – resveratrol, D3, and cava, all of which work in different ways to improve your symptoms. Absorption is usually better when they are taken with or after food, and check the label for whether or not they include a bioavailability enhancer to maximise uptake of the curcurmin. Recent research suggests a dosage of 500mg twice per day of a specific curcurmin supplement, and the same for osteoarthritis. Always double check with your doctor to make sure nothing you have been medically prescribed is not compatible. You may need to take it for 6 weeks or so before deciding if it works for you. For some people the effect kicks in far sooner. ConsumerLab is an organisation that examines the quality of supplements, and analyses whether or not they are delivering what they say on the label. Their top curcurmin supplements for quality and absorption are: Doctors Best High Absorption Curcurmin, which needs to be taken with a meal including oils or fats to optimise the body’s uptake; NOW Curcurmin – though this one does not contain a specific bioavailability enhancer so you definitely need to take it alongside an oil or fat filled meal. Good for people on multiple medications though as it won’t interact negatively with them. NutriGold has two quality curcurmin products. The first, Doctors Best, has a huge 950mg of curcuminoids in every tablet. If that’s too much for you, NutriGold Turmeric Curcurmin Gold has a lower dose, with 500mg of turmeric root extract in each dose. Lastly, ConsumerLab recommend Swanson Ultra Turmeric Phytosome which contains Meriva, which increases absorption 29 times compared to similar supplements with normal contents and unlike the others doesn’t need to be taken with food. Each capsule provides 98.8mg of curcuminoids. Test which works best for you, and please do feedback and let me know.